Ahmedabad University Auditorium, GICT Building, School of Engineering & Applied Sciences, Navrangpura, Ahmedabad. 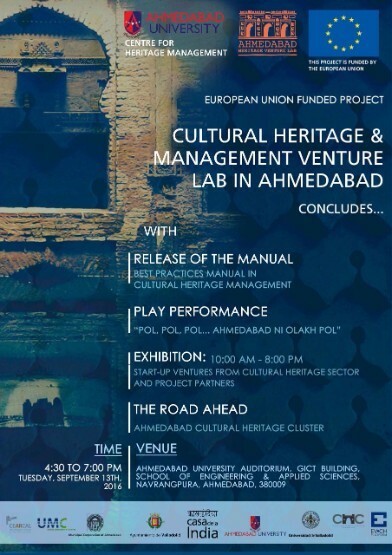 As part of the event a full day exhibition of heritage start ups will also be put up at same venue, morning 10.00 am to 8.00 pm in evening. The release of the manual: Best practises manual in cultural heritage management.